Physicists and astronomers from the University of Texas at Arlington have used advanced astronomical software to accurately date lyric poet Sappho's "Midnight Poem," which describes the night sky over Greece more than 2,500 years ago. The scientists described their research in the article "Seasonal dating of Sappho's 'Midnight Poem' revisited," published today in the Journal of Astronomical History and Heritage. Martin George, former president of the International Planetarium Society, now at the National Astronomical Research Institute of Thailand, also participated in the work. "This is an example of where the scientific community can make a contribution to knowledge described in important ancient texts, " said Manfred Cuntz, physics professor and lead author of the study. "Estimations had been made for the timing of this poem in the past, but we were able to scientifically confirm the season that corresponds to her specific descriptions of the night sky in the year 570 B.C." 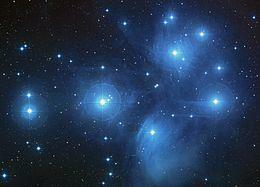 Sappho's "Midnight Poem" describes a star cluster known as the Pleiades having set at around midnight, when supposedly observed by her from the Greek island of Lesbos. Cuntz and co-author and astronomer Levent Gurdemir, director of the Planetarium at UTA, used advanced software called Starry Night version 7.3, to identify the earliest date that the Pleiades would have set at midnight or earlier in local time in 570 B.C. The Planetarium system Digistar 5 also allows creating the night sky of ancient Greece for Sappho's place and time. "Use of Planetarium software permits us to simulate the night sky more accurately on any date, past or future, at any location," said Levent Gurdemir. "This is an example of how we are opening up the Planetarium to research into disciplines beyond astronomy, including geosciences, biology, chemistry, art, literature, architecture, history and even medicine." "The timing question is complex as at that time they did not have accurate mechanical clocks as we do, only perhaps water clocks" said Cuntz. "For that reason, we also identified the latest date on which the Pleiades would have been visible to Sappho from that location on different dates some time during the evening." The researchers also determined that the last date that the Pleiades would have been seen at the end of astronomical twilight – the moment when the Sun's altitude is -18 degrees and the sky is regarded as perfectly dark – was March 31. "From there, we were able to accurately seasonally date this poem to mid-winter and early spring, scientifically confirming earlier estimations by other scholars," Cuntz said. Sappho was the leading female poet of her time and closely rivaled Homer. Her interest in astronomy was not restricted to the "Midnight Poem." Other examples of her work make references to the Sun, the Moon, and planet Venus. "Sappho should be considered an informal contributor to early Greek astronomy as well as to Greek society at large," Cuntz added. "Not many ancient poets comment on astronomical observations as clearly as she does." Morteza Khaledi, dean of UTA's College of Science, congratulated the researchers on their work, which forms part of UTA's strategic focus on data-driven discovery within the Strategic Plan 2020: Bold Solutions | Global Impact. "This research helps to break down the traditional silos between science and the liberal arts, by using high-precision technology to accurate date ancient poetry," Khaledi said. "It also demonstrates that the Planetarium's reach can go way beyond astronomy into multiple fields of research." Levent Gurdemir received his master's of science degree in physics from UTA and is the current director of the university's Planetarium. UTA uses the facility for research, teaching and community outreach, serving large numbers of K-12 students and the public at this local facility. The University of Texas at Arlington is a Carnegie "highest research activity" institution of more than 52,000 students in campus-based and online degree programs and is the second-largest institution in The University of Texas System. U.S. News & World Report ranks UTA fifth in the nation for undergraduate diversity. The University is a Hispanic-Serving Institution and is ranked as the top four-year college in Texas for veterans on Military Times' 2016 Best for Vets list. Visit http://www.uta.edu to learn more, and find UTA rankings and recognition at http://www.uta.edu/uta/about/rankings.php.